If you are looking for the latest Cannabis seeds from proven breeders, why not try the latest release from the Humboldt Seed Organization, Lost Coast OG. Providing increased yields, compared to the original OG Kush, Lost Coast OG finishes quicker and is a great strain to grow outdoors in warm coastal areas. The Humboldt Seed Organization is at the epicenter of the Cannabis and Marijuana industry in Northern California, which is the most reknown Marijuana production area in the United States.Humboldt Seeds Organization is a collective of growers and breeders working in the Humboldt area, producing high quality organic marijuana for dispensaries, collecting and testing seeds and clones of the best strains, researching into specifical medical strains, and breeding the best cannabis genetics California has to offer. Their philosophy is to be as green as possible, so the business is based on sustainable economy practices, including the use of only organic nutrients, the respect and integration with the environment, recycling all the waste, and helping local businesses by buying green and local. Their aim is to offer the best Californian genetics to the global Cannabis and Marijuana Seed community so anyone can benefit from the Medical applications of their work. They hope to help people, and plan to offer exciting new strains in the following years, including specific medical strains which are being developed right now. A very well known and respected Emerald Seeds breeder passed the Humboldt Seed Organisation this elite clone, which they subsequently back-crossed with their Emerald OG to bring out some more gassy flavor and intensify the aroma. 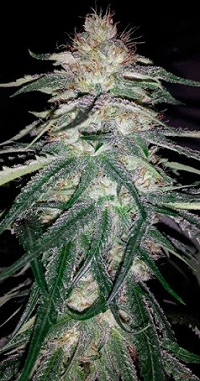 A fantastic outdoor Cannabis plant that grows very well in coastal areas. Through refining the strain, Humboldt Seeds have made their Low Coast OG an earlier finishing than your average OG Kush, and the yield is also bigger. It´s quickly become one of the Humboldt Seeds Organization favorites due to its ease of growth and performance when grown outdoors. You can now purchase this new Cannabis strain in Feminized seed form from the Original Sensible Seeds Company.